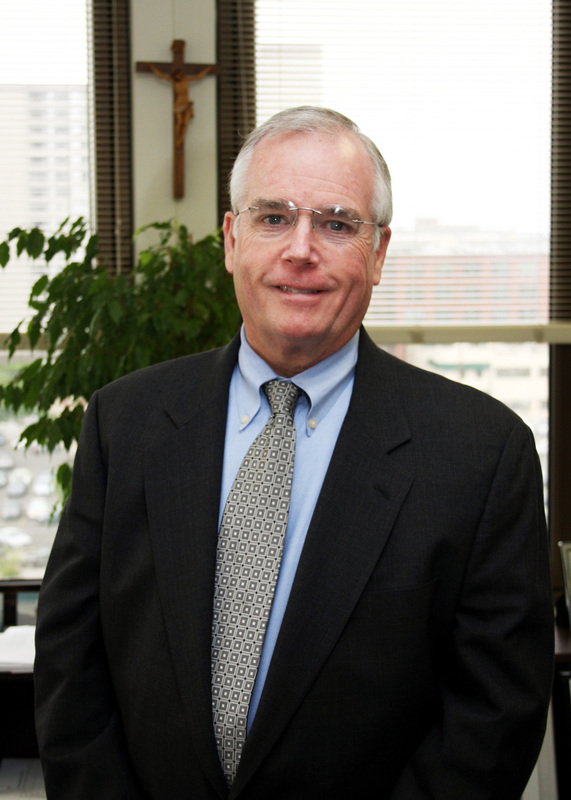 Dr. Richard V. McCarron Jr.
Richard V. McCarron Jr., the top lay official for Catholic education in the Philadelphia Archdiocese, tendered his resignation last weekend. As secretary for Catholic education, McCarron oversaw the central administration for the 17 archdiocesan high schools and four schools for special education, the centralized functions for parochial schools including curriculum and other educational services, catechetical formation including parish religious education programs, youth and young adult programs and the Newman Apostolate that serves colleges and universities in the archdiocese. After serving as superintendent of schools before being named education secretary in 2001, the 68-year-old McCarron will conclude 25 years in leadership with the archdiocese when his resignation becomes effective Feb. 1, 2013. The broad umbrella structure of the secretariat that McCarron led was instituted under Cardinal Anthony Bevilacqua, to whom McCarron reported directly as secretary. Under Cardinal Justin Rigali’s administration, McCarron continued in his role but starting in 2004 he reported to Auxiliary Bishop Michael J. Fitzgerald, who today oversees Catholic education in the Archdiocese under the leadership of Archbishop Charles J. Chaput. “Dr. McCarron has had a profound influence on Catholic education in the Archdiocese of Philadelphia for more than a quarter of a century and his leadership has been defined by an abiding commitment to our students, families, administrators and teachers,” Bishop Fitzgerald said in a statement. The statement by the Archdiocese said McCarron will remain in his position while the Archdiocese, Faith in the Future Foundation and a committee of experts and leaders conduct a national search for his successor. “All of us at Faith in the Future are deeply grateful for the work Richard has done,” the foundation’s chief executive officer, Samuel Casey Carter, said in a statement. “Today, as we aim to grow the enrollment of our schools and make quality Catholic education affordable to any family that wants it, it places a real responsibility on us to find the right leader to succeed Dr. McCarron. Until he was named superintendent of schools for the archdiocese in 1990, McCarron worked in the Catholic education office as curriculum director for secondary schools, prior to which he taught on the high school and university levels.